Below images of the trees are not Photo-shopped, these weird shaped trees are real. These trees are live and original. They were grown by a Swedish man, Axel Erlandson. When Axel Erlandson was seventeen his family moved to Central California near Turlock. He became a farmer there. In 1925, Axel took up tree shaping as a hobby. He began planting the trees in a specific pattern. Then he bent the trunks and branches carefully and made designs like hearts, baskets, weaves, lightning bolts and rings. He grafted many trees together to create the ones we see in the above images. Erlandson claimed that he was divinely inspired to shape the trees. He could also control the growth of the trees to complete his designs perfectly. His wife and daughter suggested that he could earn by showing the trees to the public. In 1945, Earlandson dug his trees and carefully moved them to Scotts Valley. Here he replanted his trees and opened a “Tree Circus” for the people to view the strangest trees in the world. His unique tree collection had also featured in “Ripley’s Believe It Or Not”. 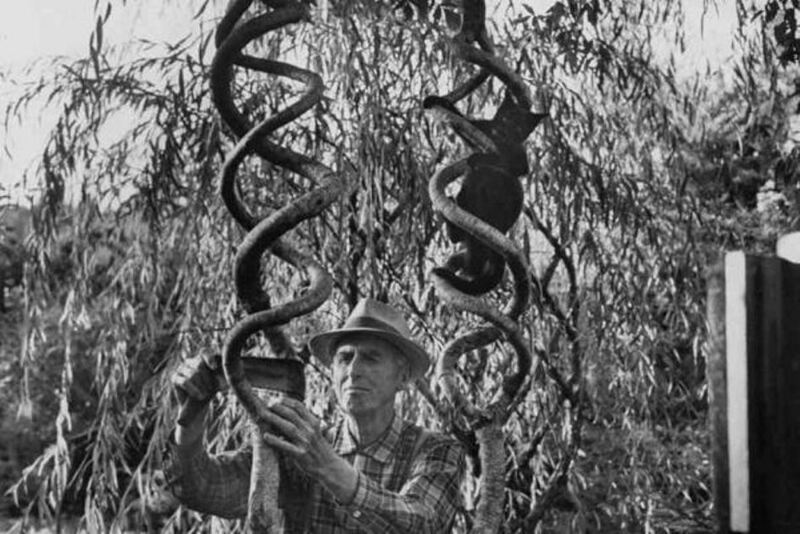 In 40 years Earlandson created more than 70 strange unique trees. He never shared his secret with anyone. He would tell his children that he spoke to the trees. In 1963, Alex Earlandson sold the property along with the trees due to his poor health. The trees were bought and sold many times. The changing owners could not take proper care of them and many trees died. In 1976, Mark Primack an architect from Santa Cruz took efforts to save the trees. His efforts finally attracted Michael Bonfante, founder of Gilroy Gardens. In 1984, he purchased 25 circus trees and put all his efforts in reviving the trees. In 1985, the trees became one of the attractions in Bofante’s theme park. 25 Circus Trees are still alive today.